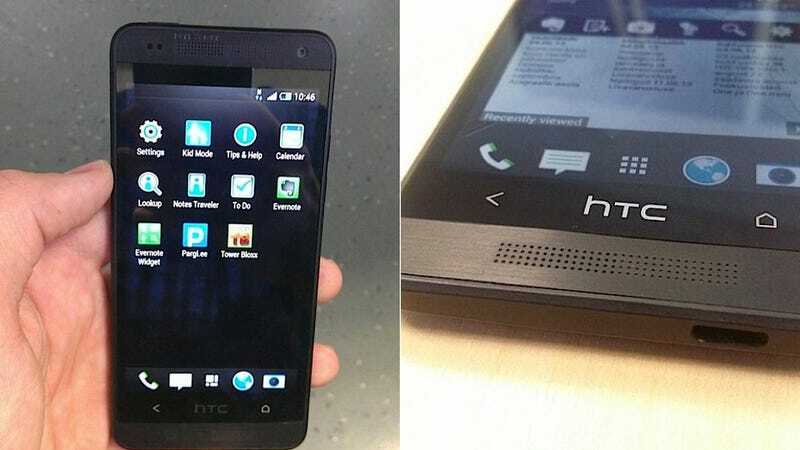 Is This the HTC One Mini, With a 4.3-Inch 720p Screen? Following rumors about the future existence of an HTC One Mini, Estonian site forte.delfi.ee claims to be in possession of a device which fits that very description. Spoiler: if it's real, it's not that mini. The purported One Mini sports a 4.3-inch 720p screen, and the site claims it also features a dual-core processor, 2GB of RAM, 16GB internal storage and a 4-megapixel camera with UltraPixel technology. If true, that all sounds very respectable for a baby-brother phone—even if a 4.3-inch screen only feels small compared to a whopping 5-incher.